Death Valley is one of the hottest, most inhospitable places in the world, but that doesn’t mean that there isn’t anything valuable in the land. Case in point, the massive borax deposits on which the Harmony Borax Works were built, requiring an outlandish amount of mule-power to make it work. Established in the late 1800s by a pioneering businessman who discovered the precious mineral deposit amidst the blasted wasteland. 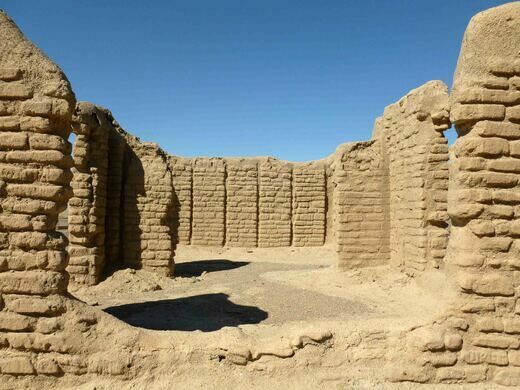 The large-scale operation set down permanent facilities right in the middle of the desert where their crop could be extracted right out of the over-dry ground. Unfortunately it was this same heat that made it impossible for the owners of the mine to process what they dug up on site and the ore had to be carted out from the camp to a facility in the nearest town, which was miles away. As can be imagined, dragging countless tons of material out of a place named for how fast it can kill a person was no easy feat, so the owners employed a wagon system that saw long trains of 20-some mules at a time pull large carts of ore out from the mine site to be processed. The giant 20-mule teams became the symbol of the borax works and are still associated with the ambitious mine today. 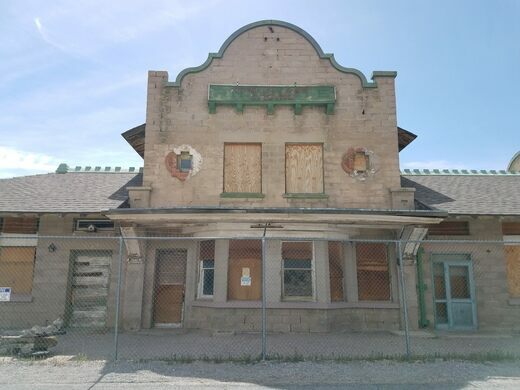 The Harmony Borax Works went out of business in 1888 but the remnants of the operation can still be found on the site. There are still some old iron stoves and things sitting among the crumbling, half-standing walls outlining where the main building once stood. 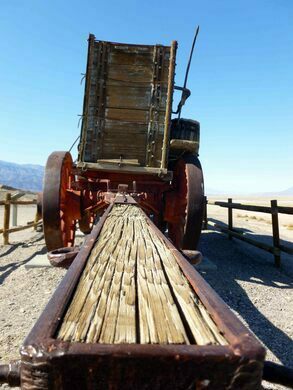 There is also a preserved example of one of the dual wagons that were used to haul the borax away. 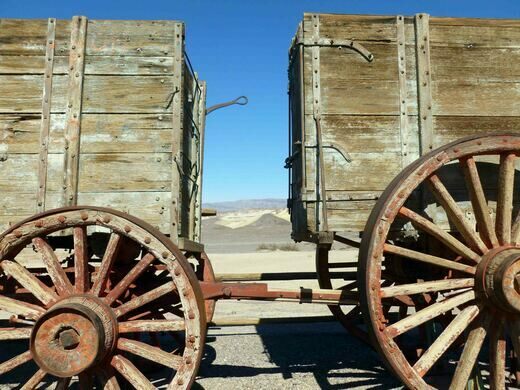 The dozens of mules that powered the wagons however are mercifully missing.